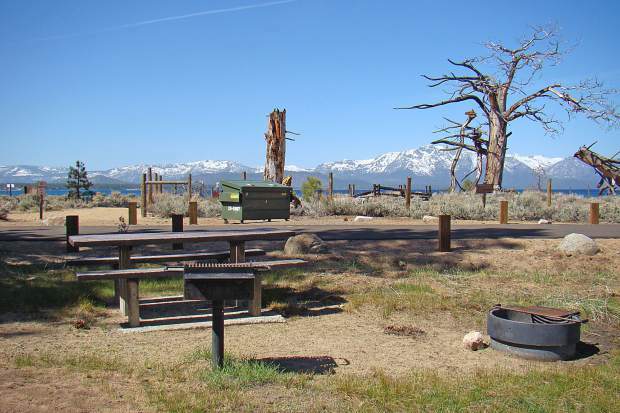 During fire restrictions, campfires are only allowed in campgrounds with an onsite host, such as Nevada Beach Campground. 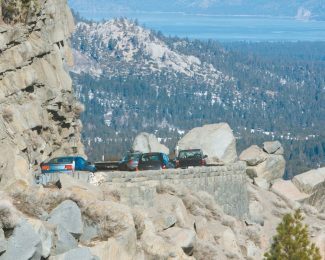 Fire restrictions on national forest system lands in the Lake Tahoe Basin will remain in effect until mid-November. The restrictions, which were enacted Aug. 17, will remain in place until Nov. 15. 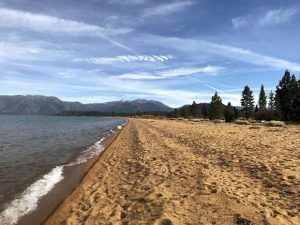 The move is in response to fire-conducive conditions — warm temperatures and dry vegetation — along with the fact that multiple large wildfires are burning across Northern California, according to the U.S. Forest Service Lake Tahoe Basin Management Unit (LTBMU). Campfires are only allowed in campgrounds with an onsite host, such as Nevada Beach and Fallen Leaf campgrounds [see factbox for additional sites]. During restrictions, campfires are not allowed at Watson Lake, Blackwood Canyon and Luther Pass campgrounds. Portable gas stoves are allowed in all areas with a valid California campfire permit. 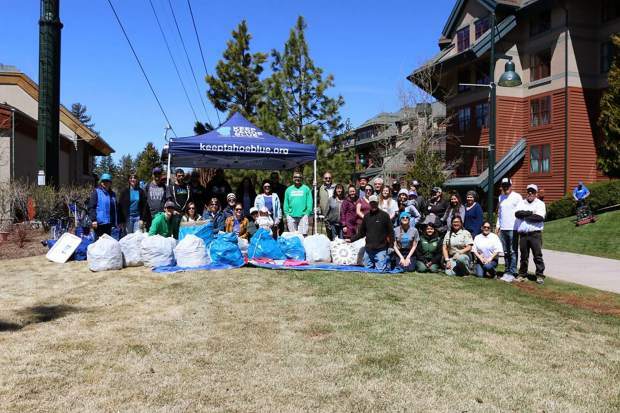 Permits are available for free at Forest Service offices in South Lake Tahoe, Incline Village and the Taylor Creek Visitor Center, or online here. Building, maintaining, attending, or using a fire (using wood, charcoal or any other material), campfire or stove fire outside of the exempted recreation sites [see factbox]. Smoking, except within an enclosed vehicle or at a developed campground or picnic area identified as an exempted recreation site, or while stopped in an area at least 3 feet in diameter that is barren or cleared of all flammable material. Operating an internal combustion engine off national forest system roads and trails, except within the Sand Pit Off-Highway Vehicle Area and boats on a water surface. Welding or operating an acetylene torch with open flames, except by permit. For questions about fire restrictions, contact the Forest Service office in South Lake Tahoe at 530-543-2600, Monday through Friday from 8 a.m. until 4:30 p.m., the Forest Service office in Incline Village at 775-831-0914, Wednesday through Friday from 8 a.m. until 4:30 p.m. or the Taylor Creek Visitor Center at 530-543-2674, seven days a week from 8 a.m. until 4:30 p.m. through Oct. 28. Information about private land fire restrictions, regulated by the California Department of Forestry and Fire Protection (Calfire), is available here.